Woman told police she lit a fire outside her mom's bedroom door, trapping her inside. | Courtesy Salt Lake County Sheriff's Office Loral Thomas, also called Loralie K. Querbach. 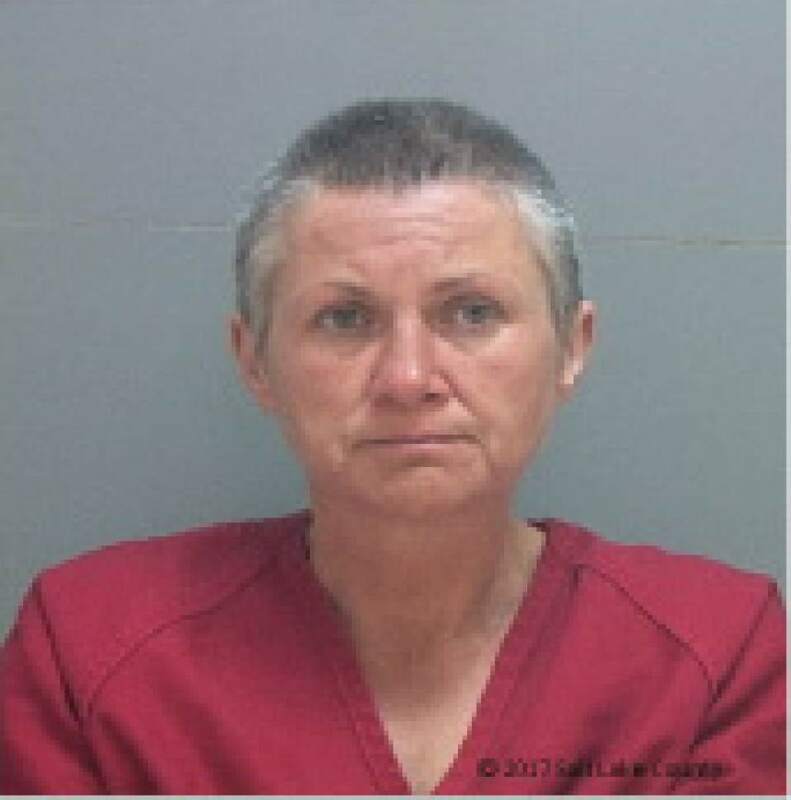 A Salt Lake County jail inmate, accused of lighting a fire outside her mother&apos;s bedroom door and killing her, died after being found unconscious in her jail cell Tuesday afternoon, officials reported Wednesday. As a housing officer was conducting his "watch tour," he found Loralie Kathie Querbach, 46, unresponsive in her cell, said Sgt. Cammie Skogg. The officer began CPR and continued until emergency medical personnel arrived, Skogg said Wednesday. The medical team took Querbach to the hospital, where she later died. "At this point we do not suspect foul play," Skogg said in an email, "and it appears as though she died as a result of asphyxiation, although we are waiting for a full report from the [medical examiner]." Querbach, of West Valley City, had been in police custody since the day of the June 5 fire. She was charged June 15 in 3rd District Court with aggravated murder and aggravated arson, both first-degree felonies. At 12:45 a.m. on June 5, 64-year-old Kathie Thomas  Querbach&apos;s mother  called 911, reporting her house was on fire and that she was trapped in her bedroom on the second floor of the home, near 7000 West and Bonnie Arlene Drive (3710 South), charges state. When police arrived, they found Thomas dead inside the house. Querbach was standing outside carrying a tote bag filled with framed photos and personal effects, charges state, and told first responders, "I confess." She also allegedly told police she had started the fire by stacking a large pile of crumpled paper in front of the door, lighting a pair of pants on fire with the stove and laying the burning pants on top of the papers. Fire investigators determined the fire had originated in the hallway at the base of Thomas&apos; door. Querbach told police she knew her mother&apos;s door was locked and that the windows in the bedroom were blocked, preventing any escape, charges say. Querbach did not warn four other residents in the home of the fire  including her juvenile son, charges state. The boy told officers he woke up about 1 a.m. and saw a pile of items on fire by his grandmother&apos;s bedroom door, charges state. The boy said he attempted to put out the fire, but it was spreading too fast. The boy went outside and saw Querbach walking around, carrying her tote. Another man living at the house told police that he woke up to the sound of Thomas screaming. He ran to the stairs and saw Thomas&apos; door engulfed in flames, charges state. He attempted to extinguish the fire with buckets of water, but the fire "became too large and too hot," charges say. The man told police that when he had first run upstairs, he saw Querbach in the kitchen, who looked like she was giggling. The week before the fire, Querbach and Thomas had been in an argument, the man told police, and Querbach threatened to burn the house down. An autopsy determined Thomas died of thermal burns and smoke inhalation, and that the manner of death was homicide, charges state. No one else was injured in the fire. Querbach was being held without bail at the Salt Lake County jail, and was awaiting a court scheduling conference on July 7.